Since its inception, the dissolution test has come under increasing levels of scrutiny regarding its relevance, especially to the correlation of results to levels of drug in blood. The technique is discussed, limited to solid oral dosage forms, beginning with the scientific origins of the dissolution test, followed by a discussion of the roles of dissolution in product development, consistent batch manufacture (QC release), and stability testing. The ultimate role of dissolution testing, “to have the results correlated to in vivo results or in vivo in vitro correlation,” is reviewed. The recent debate on mechanical calibration versus performance testing using USP calibrator tablets is presented, followed by a discussion of variability and hydrodynamics of USP Apparatus 1 and Apparatus 2. Finally, the future of dissolution testing is discussed in terms of new initiatives in the industry such as quality by design (QbD), process analytical technology (PAT), and design of experiments (DOE). W. Swichtenberg. Dissolution Testing in the 21st Century, Hot Topic minutes. AAPS National Meeting, San Antonio, TX, Nov.1, 2006. Comments attributed to Ajaz Hussain. 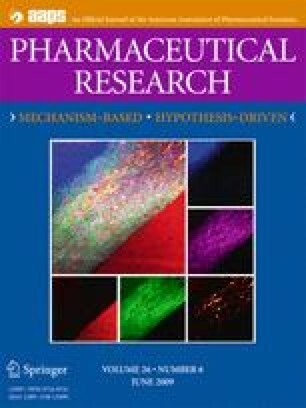 http://www.pharmamanufacturing.com/articles/2006/213.html (accessed 11/25/2008). J. Emami. In vitro–In vivo correlation: From theory to applications. J. Pharm. Pharmaceut. Sci. 9:169–189 (2006). http://www.ualberta.ca/~csps/JPPS9_2/Jaber_Emami/MS_190.htm (accessed 11/25/2008). P. Buch, P. Langguth, M. Kataoka, S. Yamashita. IVIVC in oral absorption for fenofibrate immediate release tablets using a dissolution/permeation system. J. Pharm. Sci. Published online in Wiley InterScience (www.interscience.wiley.com). doi:10.1002/jps.21576.